Accidents frequently occur in construction zones and they may be the fault of the injured party or someone else involved in the renovation site. Courts are often tasked with deciding whether the injured person is responsible for his or her own injury or if a different party is at fault. A recent case in Metairie highlights the complexities of identifying the responsible party. Peter Dimitri and his company, Beck Housing, LLC, hired Patrick Chaplain to perform carpentry work during a home renovation. Mr. Chaplain used a table saw, owned by Mr. Dimitri, during the process of his work, but Mr. Chaplain did not use the saw’s safety guard. The saw went rogue and struck Mr. Chaplain’s hand. As a result, he lost several fingers. Mr. Chaplain filed a lawsuit against Mr. Dimitri to recover for his injuries. He believed Mr. Dimitri was responsible because he owned the saw. The Trial Court disagreed. The Trial Court concluded, without citing many reasons, that Mr. Chaplain could not bring his claim and granted Mr. Dimitri summary judgment, which allows a court to enter a judgment in favor of one party over the other without entering into a full trial. Mr. Chaplain needed to present evidence that “showed a genuine issue of material facts” in order for the lawsuit to move on to a trial, which the Trial Court did not believe he did sufficiently. See La.C.C.P arts. 966 and 967. Mr. Chaplain was not satisfied with the Trial Court’s decision so he appealed based on the Trial Court’s summary judgment ruling. Mr. Chaplain attached evidence to his appeal, which would create a genuine issue of material fact to defeat the summary judgment ruling, but the Court of Appeal could not consider this information because it was not part of the trial court record. Board of Directors of the Industrial Development Board of the City of New Orleans v. All Taxpayers, Property Owners, Citizens of the City of New Orleans, 848 So.2d 733, 737 (La. Ct. App. 2003). The Court of Appeal reviewed various elements of the situation to decide if Mr. Chaplain could hold Mr. Dimitri responsible for his injuries. In making this decision, the court considered Mr. Chaplain’s experience as a carpenter. Mr. Chaplain practiced carpentry for thirty years, so based on his extensive experience, the Court concluded that Mr. Chaplain possessed the knowledge of tools enough to use a safety feature on a table saw. Mr. Chaplain also testified that he had used table saws safely on various occasions and that he was aware of the warning labels on the saw, which stated the safety feature should be used. The Court of Appeal also considered Mr. Dimitri’s involvement in the situation. 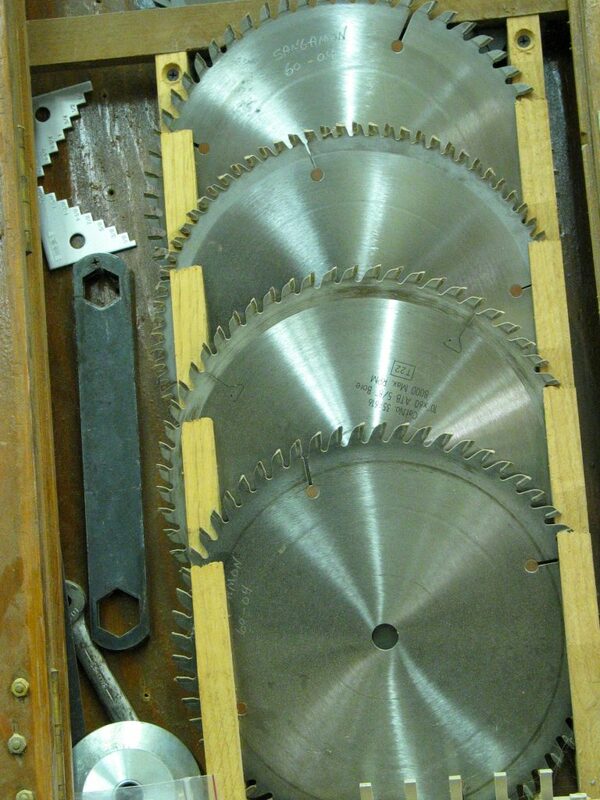 Mr. Dimitri purchased a new saw for Mr. Chaplain to use specifically for this project. The court found that Mr. Dimitri did not intentionally give Mr. Chaplain faulty tools to use or evade his responsibility as a business owner. The Court of Appeal affirmed the decision of the Trial Court. It granted summary judgment in favor of Mr. Dimitri and Mr. Chaplain was not able to bring a lawsuit against him. In situations involving construction site injuries, it is extremely important to consult an experienced attorney who can ensure that the correct party is held responsible for your injuries. In this case, an experienced attorney could have helped Mr. Chaplain to secure more convincing evidence or even suggested he not move forward with his case. But, without an attorney, Mr. Chaplain was not able to secure this valuable information to help in his case. ADDITIONAL SOURCES: PATRICK CHAPLAIN VERSUS PETER J. DIMITRI, ET AL.